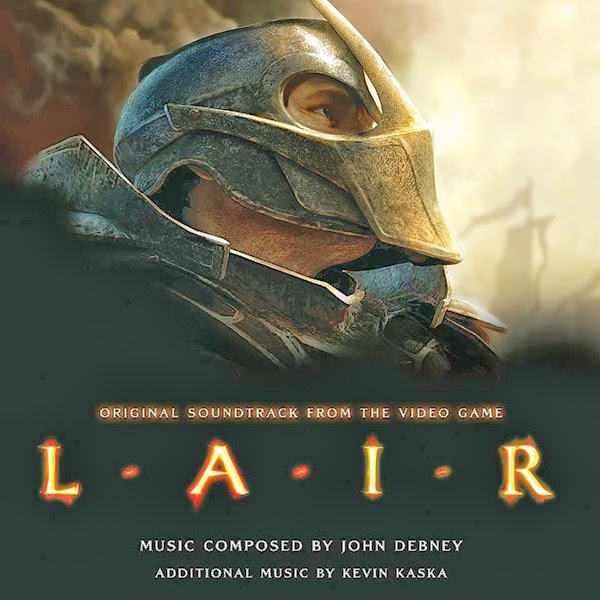 Sony and La-La Land Records are proud to announce the 2 CD release of one of the greatest scores ever recorded for a video game – LAIR, music by John Debney (PASSION OF THE CHRIST, CUTTHROAT ISLAND, THE RELIC). Making its debut for the first time on CD, this jam packed 2 cd set features more music that was released digitally many years ago. This jaw-dropping, swashbuckling, lush and gorgeous score is filled with themes you will be humming for the rest of your life. A truly inspired work that ranks up there with Lord of the Rings, Willow and Conan the Barbarian as one of the best scores in the realm of Fantasy! Jeff Bond’s informative liner notes take you deep inside the game and it’s score with comments from composer John Debney. As an added bonus we have also included the Live Concert suite that the The Orchestra Filarmonia and the Ziryab Choir performed at the BSO Spirit Awards! The first 150 people who purchase the cd directly through the website will receive an autographed booklet signed by composer John Debney free of charge. PLEASE NOTE: Autographs are limited. You are not a guaranteed a signed booklet.